Remember all those times your parents told you to stand up straight and pull your shoulders back? They were onto something! Last Friday I was listening to the Hamish and Andy show on the radio. Hamish was talking about visiting a physiotherapist for his hip problem. The physiotherapist had talked to him about changing his posture, and Hamish made some hilarious comments comparing his body to a transformer. It made me giggle about the number of times I have had the very same conversation with clients. You can listen to the segment by clicking this link. Did you know that many injuries can be prevented and treated just by changing your posture? Many people do not even realise their posture needs fine-tuning. Nowadays, many of us are working in jobs which require us to be sitting in front of the computer or at a desk for hours on end. One study* reported that a forward head tilt of just 15 degrees could result in an extra 12 kilograms of pressure on your neck. 12 kilograms! This means it is even more important for us to be aware of our alignment. 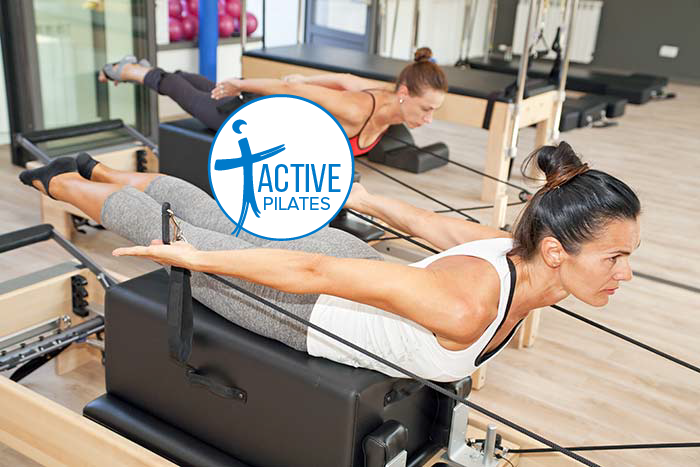 Clinical Pilates is one excellent way to improve your posture and strengthen your postural muscles. The focus is to maintain correct posture and breathing whilst performing specific exercises. Ever wondered why your right shoulder was sore, while suffering left sided back pain at the same time? No, it isn’t a coincidence! The muscles in our bodies work together in complex ‘slings’. There are tiny muscles which help to stabilise the many joints in your body. These stabilising muscles work together with the bigger muscles (such as your biceps, pecs and 6-pack muscles), to allow your body to move. Physiotherapists are trained to identify weakness and activation problems in all those tiny little muscles - muscles that many clients say they didn’t even know they had! Here at Active Physiotherapy Wagga, we are all trained to carefully assess your body for both injury and injury prevention. Physiotherapist Michelle Byrne, has undertaken clinical pilates equipment training through the Australian Physiotherapy and Pilates Institute (APPI), and will soon complete her Certification. I have completed APPI Certification in Clinical Pilates and Pre and Post Natal Pilates. We offer clinical pilates mat classes, private/semi-private clinical pilates equipment sessions, and Bounce Back classes. For further information, please call our friendly team on (02) 6925 7734. Please note, leopard print lycra is completely optional!